It’s one of the biggest dangers of living in South Florida is the threat of mold. No matter how clean you keep your house, humid air can cause dangerous mold to form or grow on your floor and building materials. This can make you sick and cause long term health and respiratory problems. To help keep your tile and hard surface floors protected, CoverTec Products has developed mold resistant coating products. If your home has worn out grout, it can cause warm, humid air to leak inside. Not only does this create the perfect conditions for mold to form, it can also cause your air conditioning system to work much harder. A tile and grout sealer can help keep your home safe and your energy costs down. 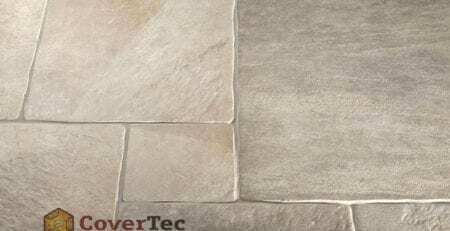 CoverTec Products has developed an innovative NewTile System which is designed to protect and refurbish hard tile floors from discoloration caused by chemicals, mold or bacterial growth. The NewTile System consists of two great products—Glaze Guard and CT-Grout. Glaze Guard is a tile and grout sealer which is perfect for hard surfaces, such as ceramic tile, marble tile and porcelain tile. Because it’s clear and durable, it removes stains and discoloration caused by mold and mildew while enhancing its original shine. Glaze Guard utilizes revolutionary adhesion technology which enables the coating to bond to hard surfaces for either horizontal or vertical installations. It’s also versatile enough to be used inside or outside. If your grout has become worn out or discolored, CT-Grout is a color stable acrylic colorant which can penetrate its surface to rejuvenate its appearance. 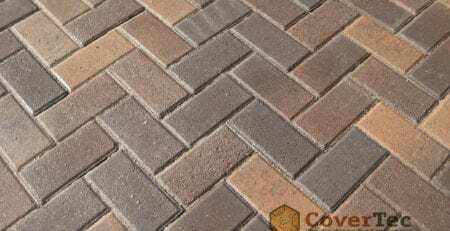 It can also protect grout from becoming stained, soiled or discolored for years to come. Here are some reasons why you should consider using CoverTec Products’s NewTile System. 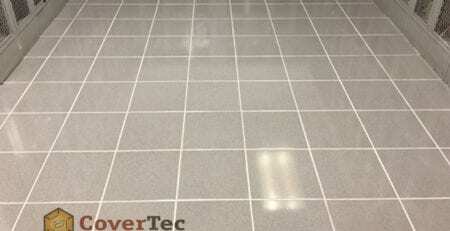 CoverTec Products’s hard tile and grout sealer system simply makes sense. In addition to lower energy and utility bills, your home is safer and much more presentable. Floors are often the most neglected and overlooked part of your home. Each day, we walk over them without a care in the world. But it doesn’t mean they have to show signs of neglect. Keep your floors free of mold and mildew with CoverTec Products’s stain resistant sealing products and NewTile System.